There are a ton of Butterbeer recipes online for you to enjoy when you get home from your Orlando Florida vacation or for a Harry Potter party. 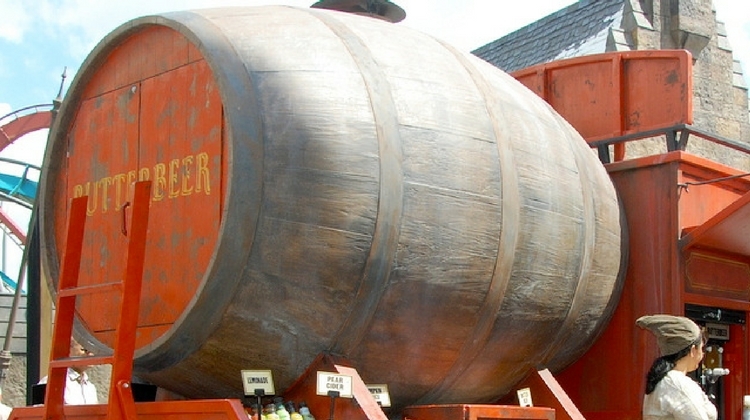 Only a few live up to the real thing at the Harry Potter theme park at Universal. It must be served chilled, preferably frozen (like a slush drink), it must have a frothy head, a buttery-scotchy flavor, and non-alcoholic. This is a list of those that come the closest to meeting those requirements; worthy of serving at your next Harry Potter party. It’s not the easiest ones (like just mixing butterscotch syrup with cream soda), it’s the ones that most closely match the version from the Wizarding World of Harry Potter at Universal Orlando Resort®. So many recipes add alcohol, serve it hot (which was another option from the Harry Potter book series), and have no foamy head. This one’s from the Food Network. This one is served warm according to the recipe, but you could just as easily chill or freeze the drink before serving. I found this one on e-How. Again, hot and again, you could freeze or cool before serving. I liked how this one used butterscotch chips and the coffee creamer. Adds a real different dimension that still stays on track with the Harry Potter theme park version. Put the Butterscotch Chips and Butter in a microwave safe bowl. Heat for 30 seconds. Stir and Heat for another 30 seconds. Now add your Creamer to the bowl. Microwave in 30 Second increments again. Stirring each time. It usually takes about 4 times (2 minutes) to get the right consistency. Set your mixture aside. The chips and butter should be a thick stir-able paste. Heat Cream soda in the microwave for 90 seconds. BE VERY CAREFUL! Microwaves times vary. Make sure not to over heat the Cream Soda or all of the fizz will be gone. Pour Butterscotch mixture into heated Cream Soda. Again, one that I modified to fit the requirements of the Wizarding World of Harry Potter park version. This one just sounds delicious!! Heat cream soda in a pot until warm but still carbonated (at least 3 minutes). You could also just go with the very cold cream soda (my preference) and have a more frozen/slushy drink. This was the recipe put out by AP, FoxNews, and just about every other site after the Wizarding World of Harry Potter park opened. Seems to be the most likely ingredients, but doesn’t serve it cold or frozen, like the park. The final result does seem to be most like the park version, just needs to be frozen. 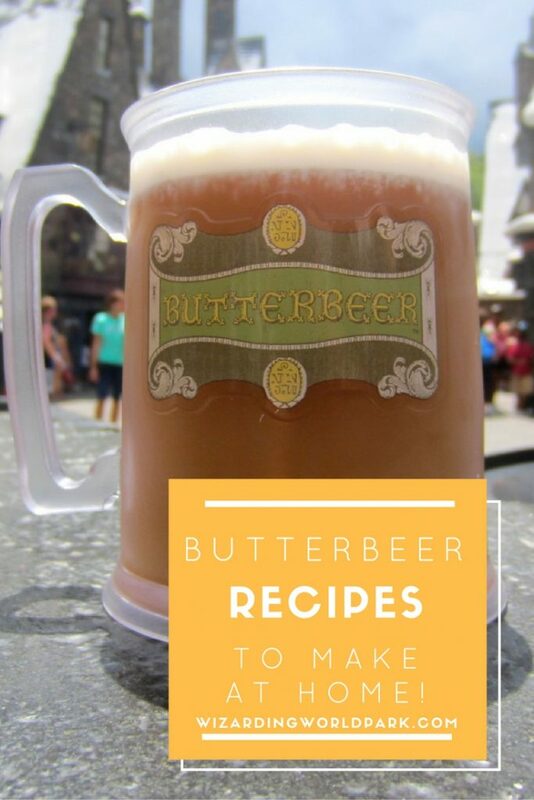 These were our top 5 butterbeer recipes to remember your Orlando, Florida vacation to the Wizarding World of Harry Potter, what are yours? Have you tried any of these? Give us your feedback in the comments, below! Now, you can see us try these Butterbeer recipes! See the videos, below! If you love Harry Potter DIY’s and crafts, check out some of the fun projects on Jones Family Travels. A little Muggle shows you how to make pencil wands, house scrub, chocolate frog coasters, and more. Plus, they have an amazing Butterbeer Latte recipe!